Weekly Fighting Game Training Session & Meet Up. 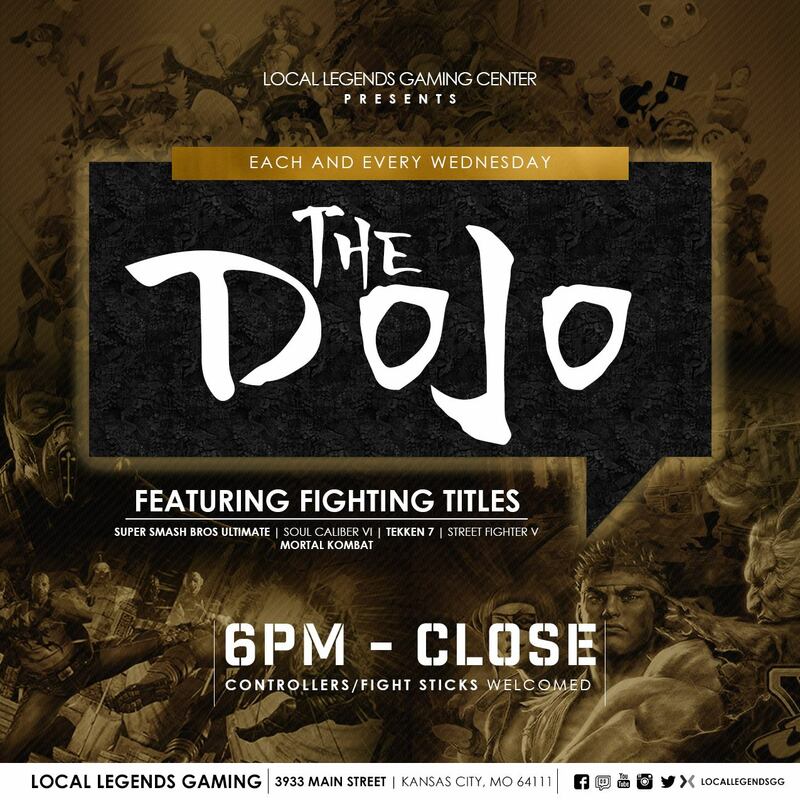 Enter the Dojo with us each and every Wednesday for an opportunity to improve your skills in preparation for the next bracket tournament. Bring a friend and make some friends as we all work to improve our game. We will supply many games but feel free to bring any game and we will find someone for you to train with. Hello, I would like to get my son signed up for the Battle Royale fortnite contest. How may I go about that?